The NSMB Hacking Domain » Old Super Mario Bros.
Notice: Life is busy lately so I doubt I'll actually ever get around to finishing this. When I get more free time, I'll probably work on a new hack that isn't a remake. I hope everyone enjoys world 1 & 2. 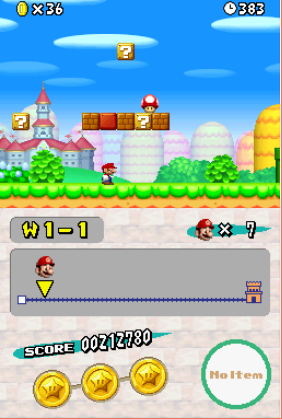 This hack is a remake of the NES Super Mario Bros. and Super Mario Bros. The Lost Levels. Most levels will have minor or maybe even major changes from the original games to make the hack more interesting and fun. It's my first ever hack, so don't expect anything fancy like ASM hacking, custom textures, etc. There will also most likely be a lot of bugs and issues I'm not aware of, so if you find any please tell me about them in this thread. If you could also tell me how to fix them, it would be much appreciated. 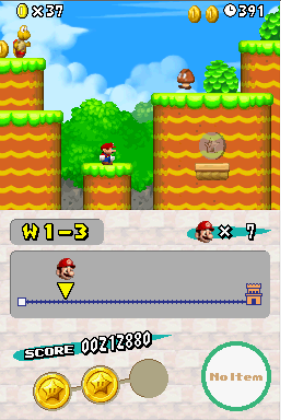 (I know remakes aren't very original and they've been done hundreds of times before, but this only really started off as a small first hack so I could learn the basics of NSMBe. I've spent at least a month working on this already, so I don't want to have wasted all that time. When I'm not such a noob at NSMBe I will make a new hack with fully original levels). -W1 Tower progress path not working no matter what I try. -Bullet bills and castle red doors have no sound effects. Also, tower double doors don't play the opening animation when walking through (had to use the red doors from the final boss for now). I'll be releasing a new download after every 2 worlds I complete. Always make a patch using NSMBe or Xdelta. Ah, sorry I'm new to all this. I'll change it now. I won't be able to provide a video, because I have a crappy laptop and the screen recorder would make Desmume run at about 5 fps. You can use the "Record AVI" function in Desmume, it slows down the emulation but records at 60fps. Something that made it kinda weird was how the levels were. Why 3-1 in 2-1? Maybe it's because of design, but it's going to be a weird difficulty jump. Anything else is fine. 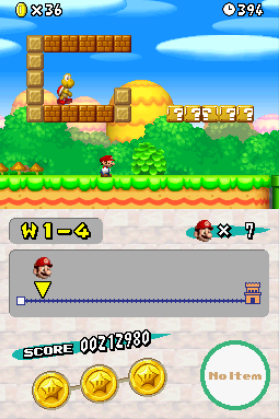 IMO, if you want to get used to NSMB Editor, instead of purely making it only SMB1/TLL, you can try to port other levels from various mario games, like a `Mario Collection` or something like that. Meanwhile with more complex levels with SMB3 and up, you can see what the game is capable of doing, since you might not be able to recreate all the level has going for. The main reason I changed around the worlds was because world 2 in the original SMB had some water levels that wouldn't really suit a desert theme. 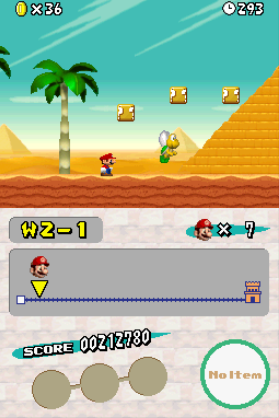 I know NSMB's desert does have one water level, but meh. I was already considering moving around a few levels at some point (by exporting and importing each level, then changing around the tileset). I just don't wanna make a SMB mushroom level and place it in a NSMB water level world map slot. Once I've made more levels it'll be easier for me to decide where each one will go, even if putting world 3 SMB levels in world 2 and such doesn't make sense. 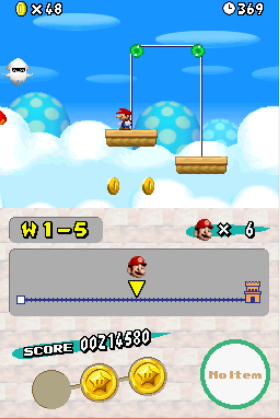 As for the difficulty jump, NSMB's physics make SMB (and even Lost Levels) levels kinda easy. If I feel like a level is too hard, I'll tone it down. If I feel like it's too easy, I'll increase enemies or find any way to make it harder. I do see where you're coming from.. I just can't see any possible way to make SMB3 or Super Mario World levels in NSMBDS. I might give it a go as a little side project.